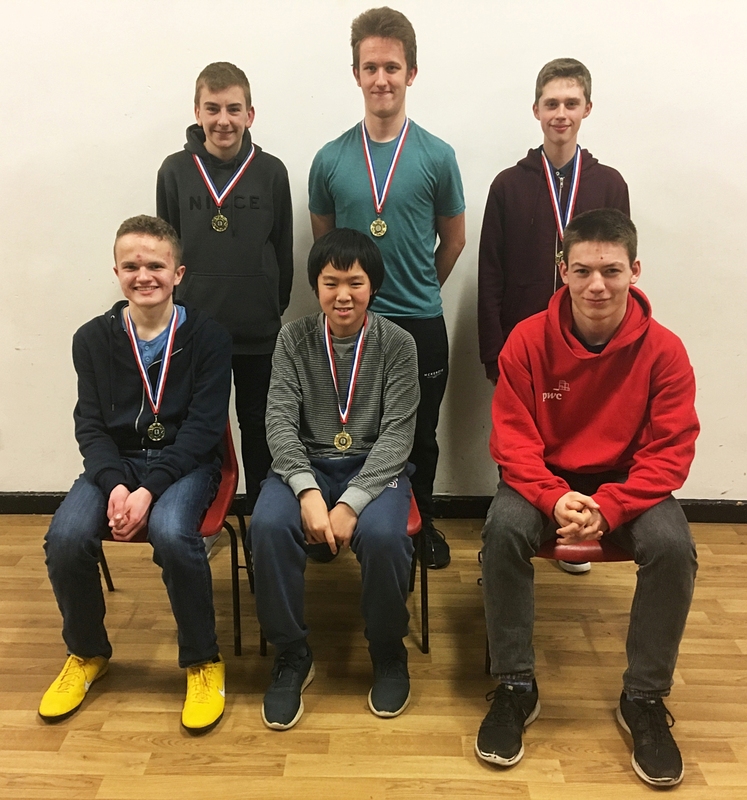 The newly formed Gloucestershire U18 Team won the team championships this year ! 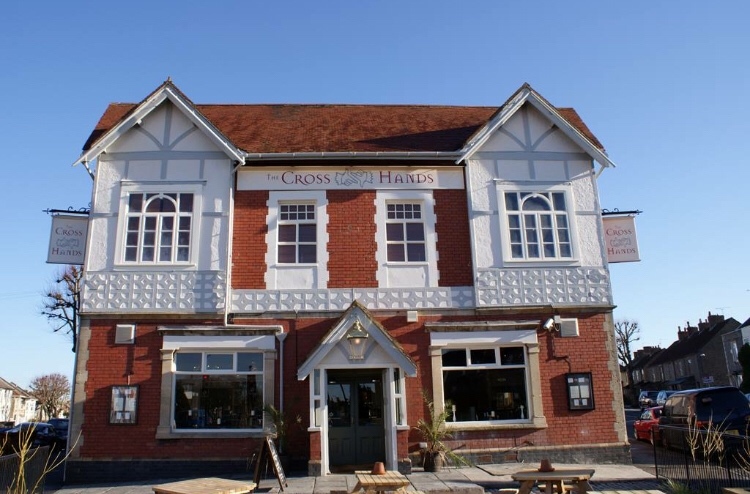 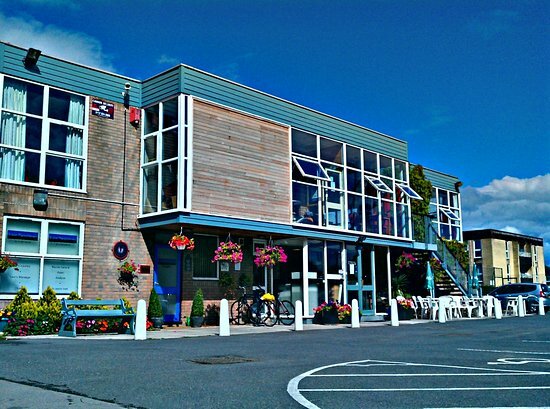 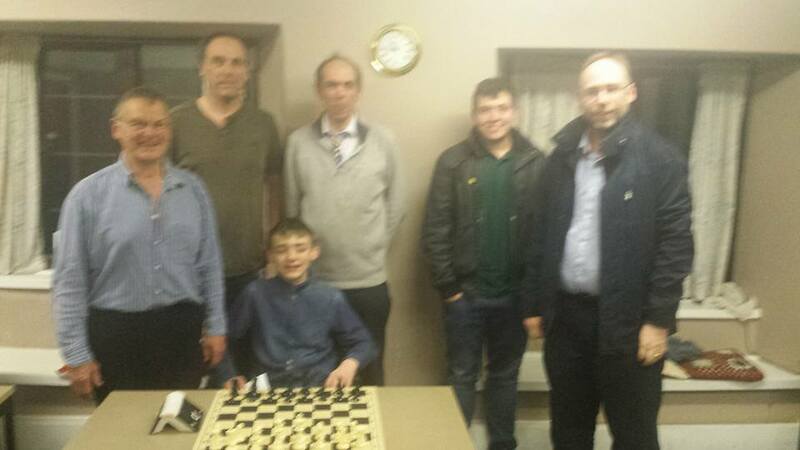 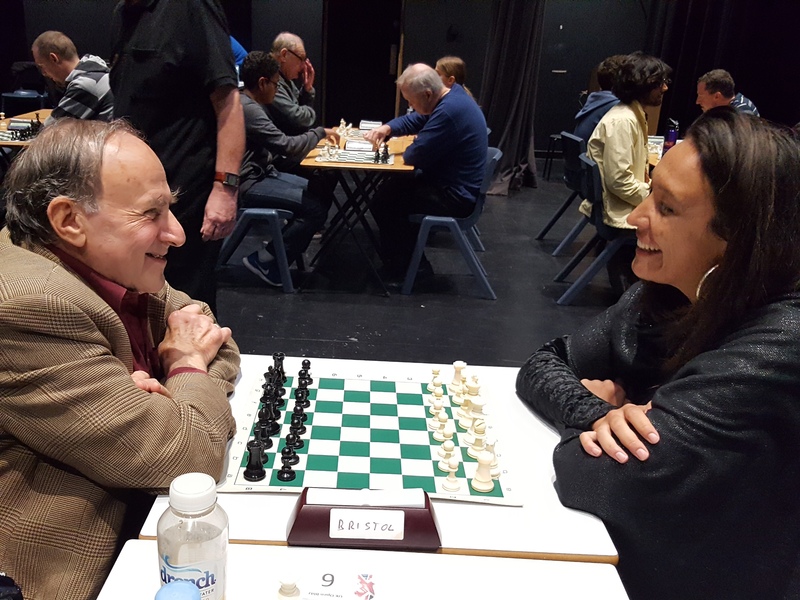 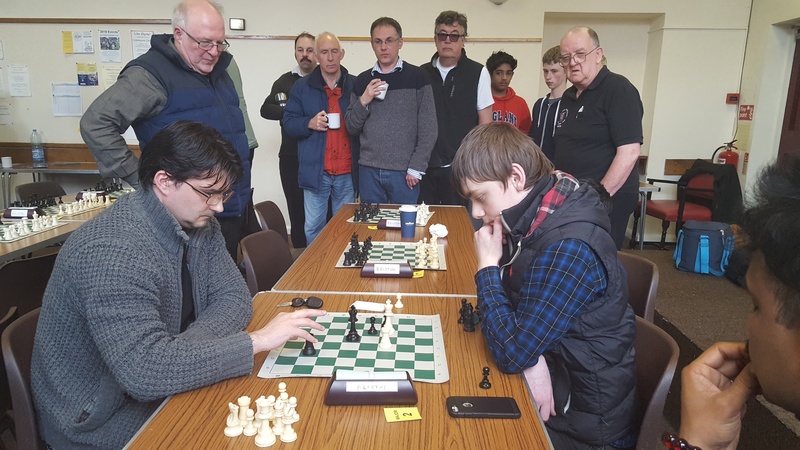 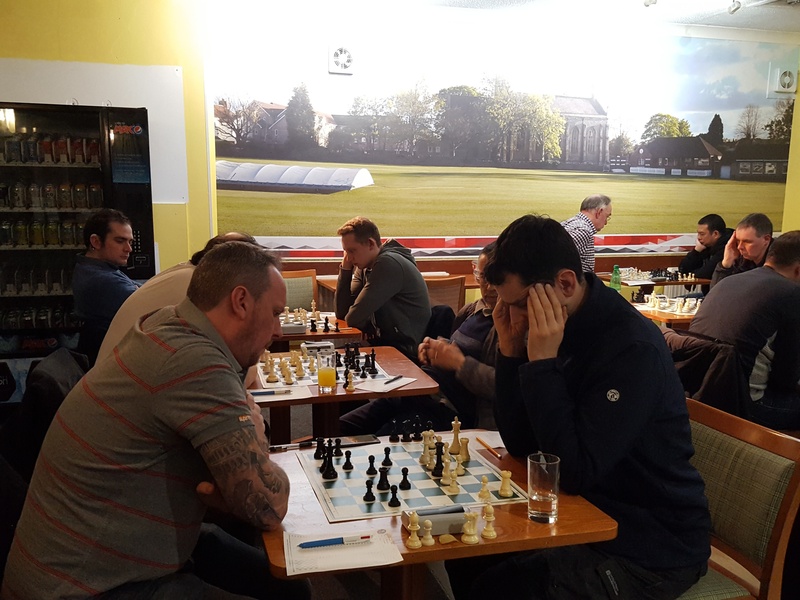 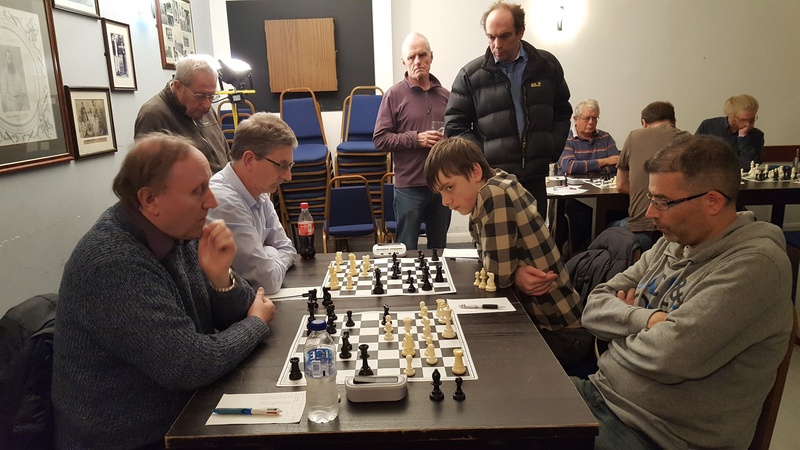 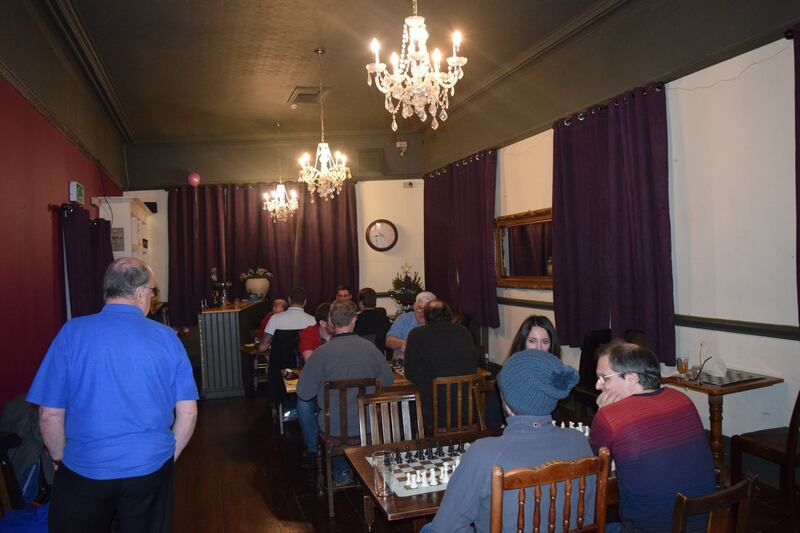 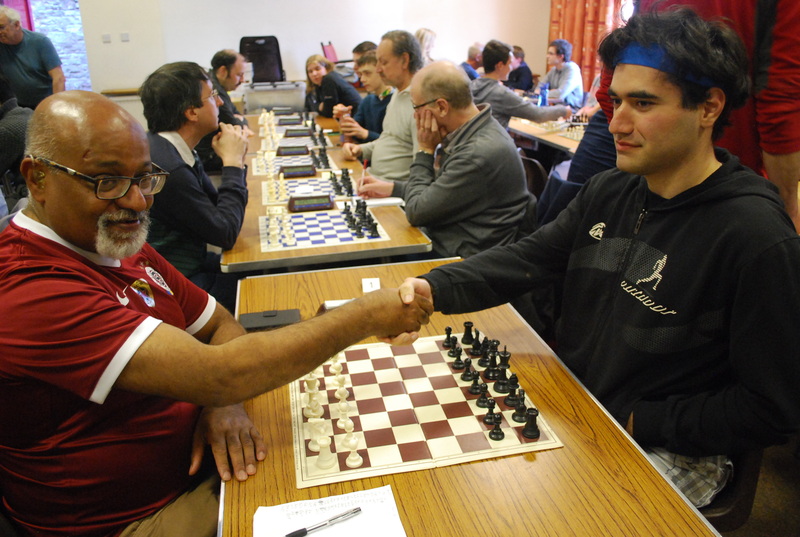 Horfield take on the league - 3rd Nov 2018 Horfield Chess Club celebrating 75 years as a club ! 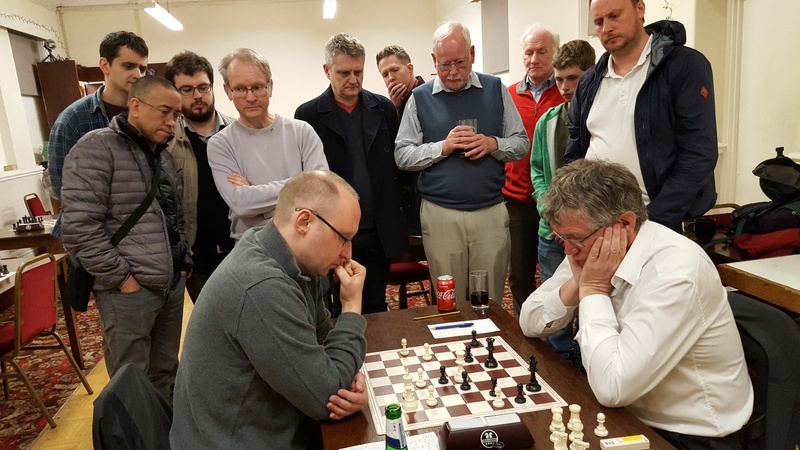 On the left is the decisive Round 4 top board game where local favourite Chris Beaumont took on Graham Moore with both players on 100%. 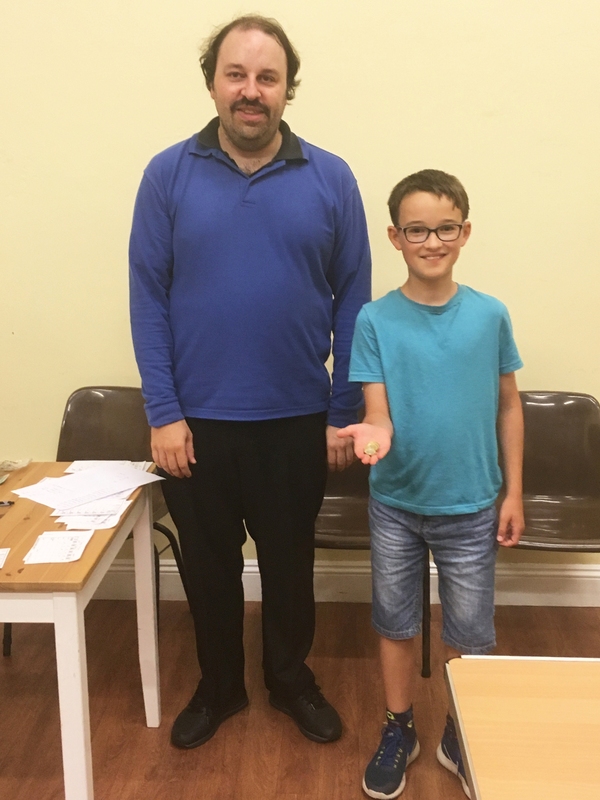 Unfortunately for Chris the game went south and Graham went on to win with a perfect score of 5/5. 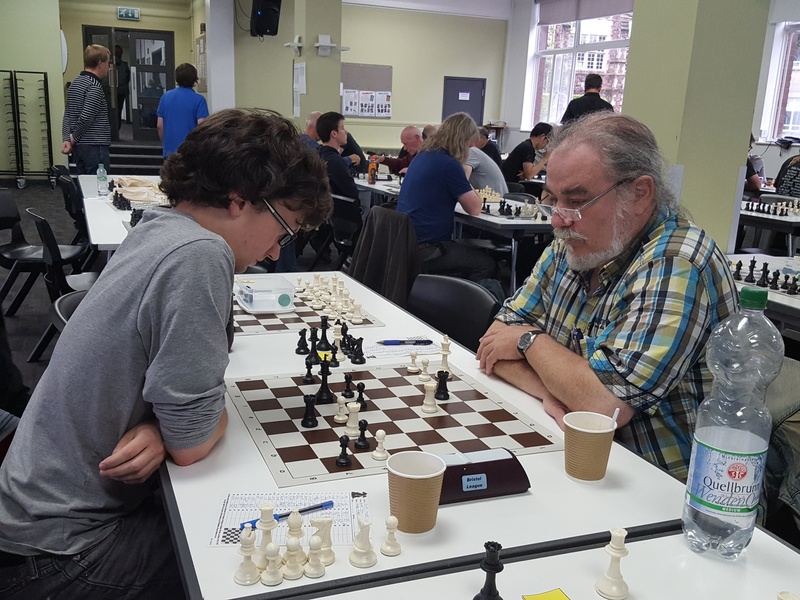 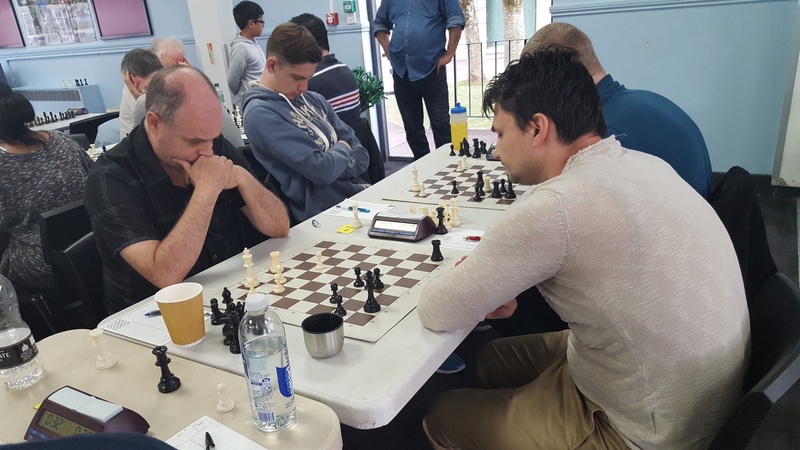 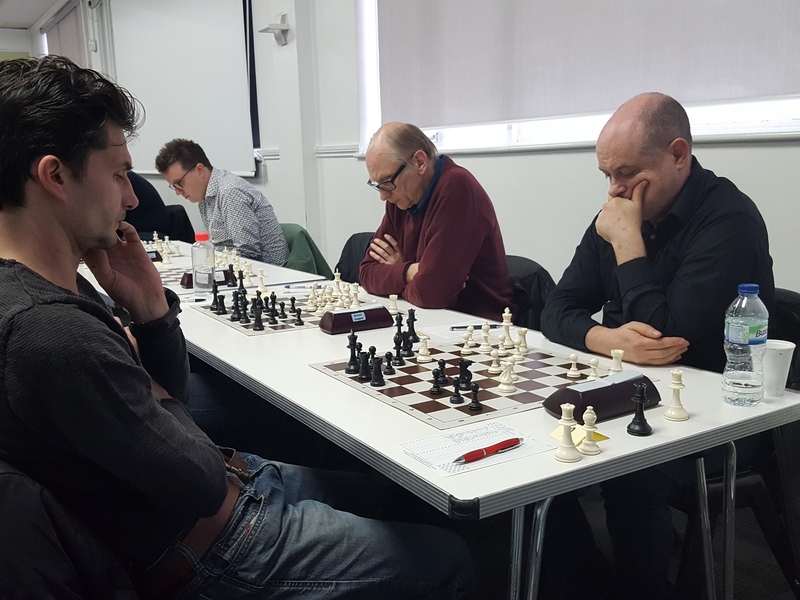 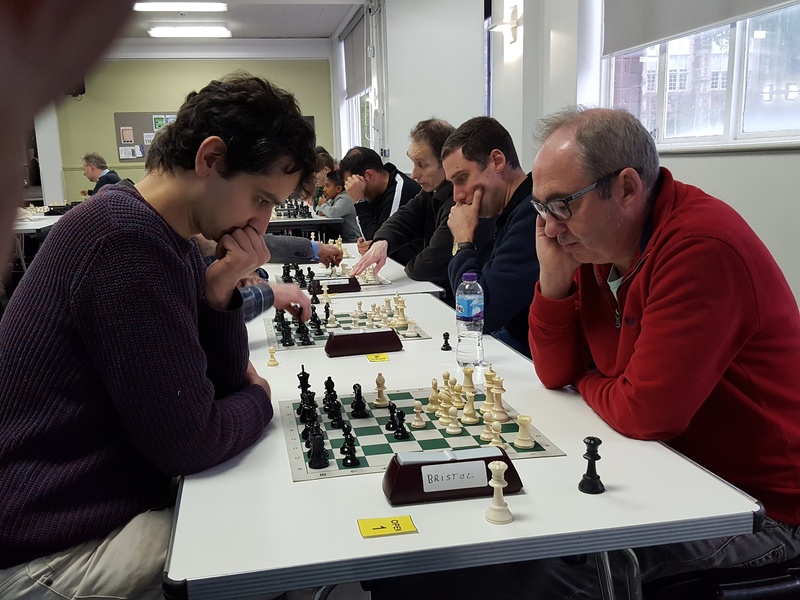 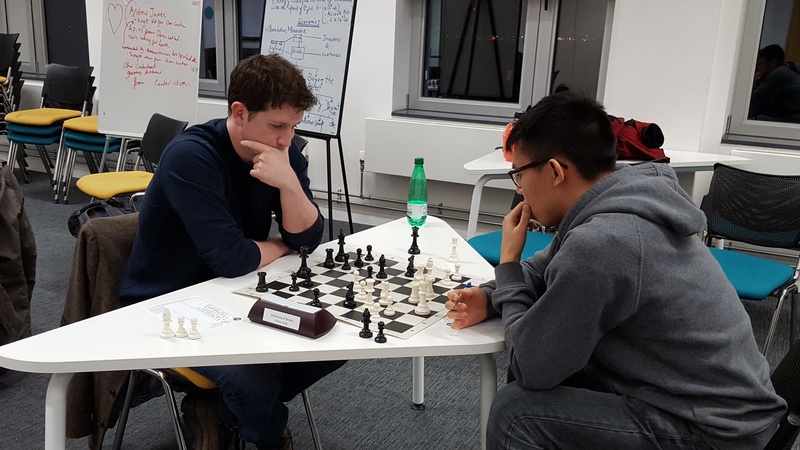 On the right is Frank Palm taking on Bristol University's Philipp Prasse, Frank was a good friend of Steve's, and back in the 80's and 90's they were prime movers behind Bristol/Hannover chess exchanges. 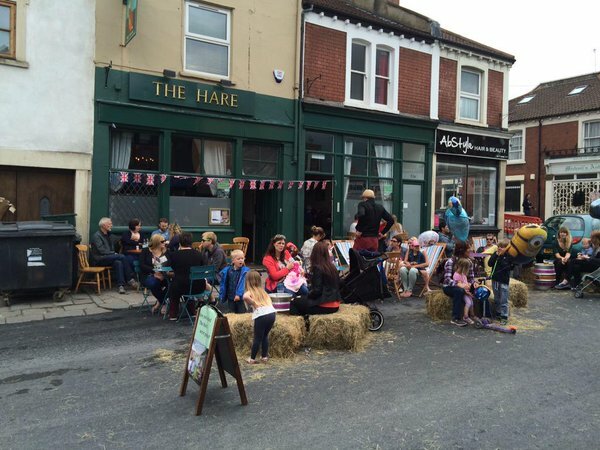 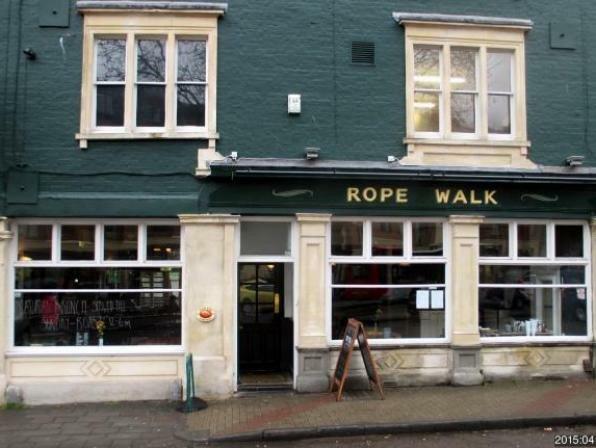 They also shared an interest in cask beers and a devotion to bus and rail transport. 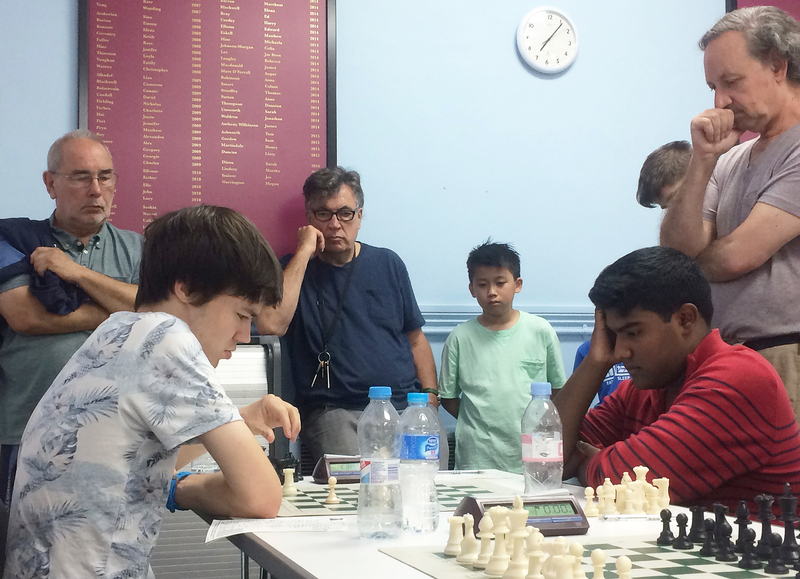 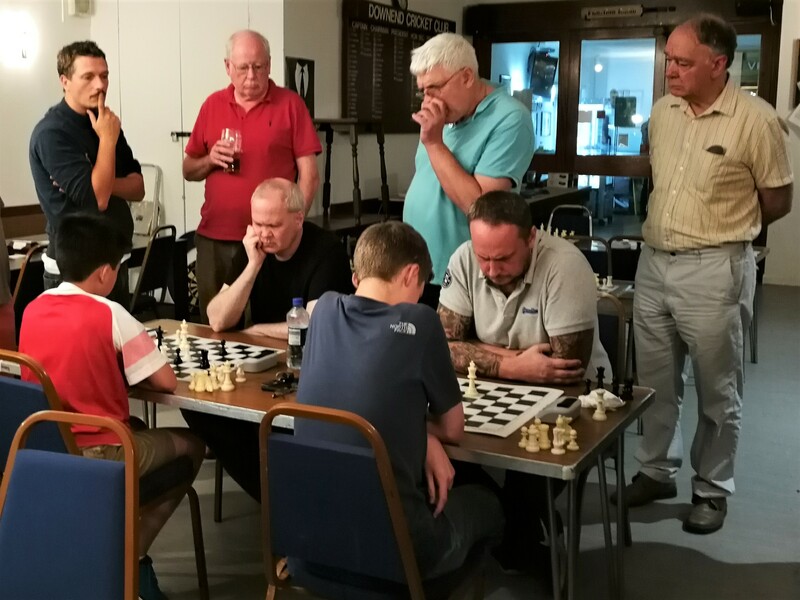 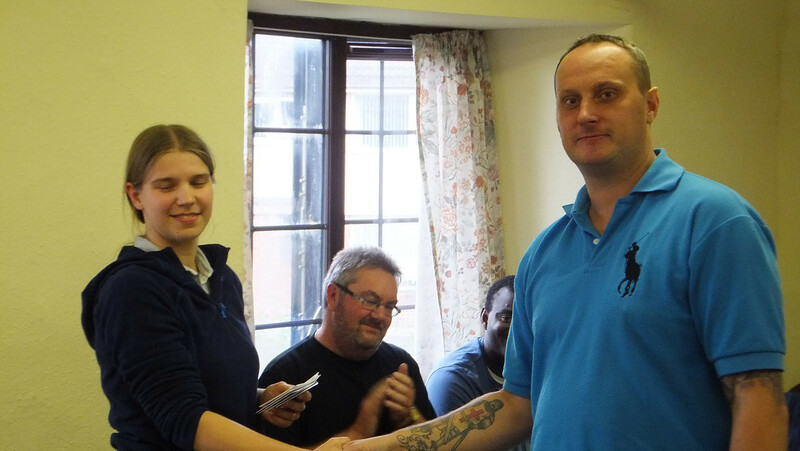 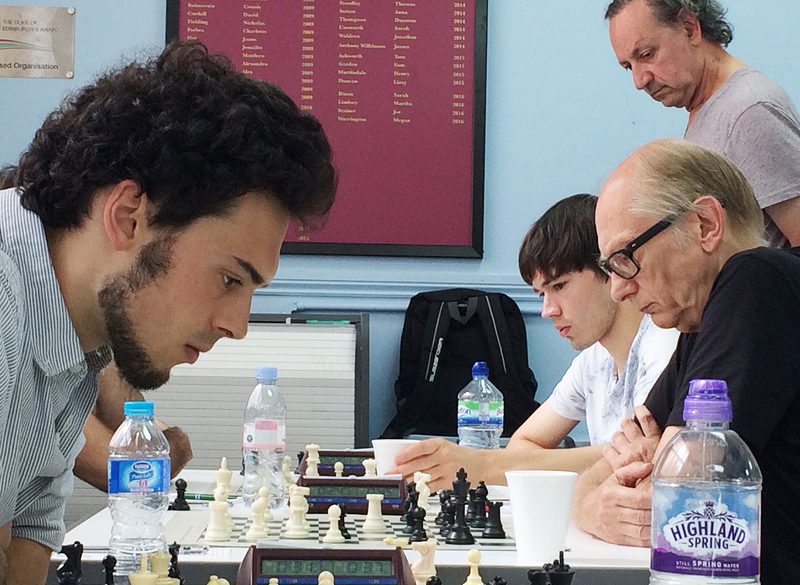 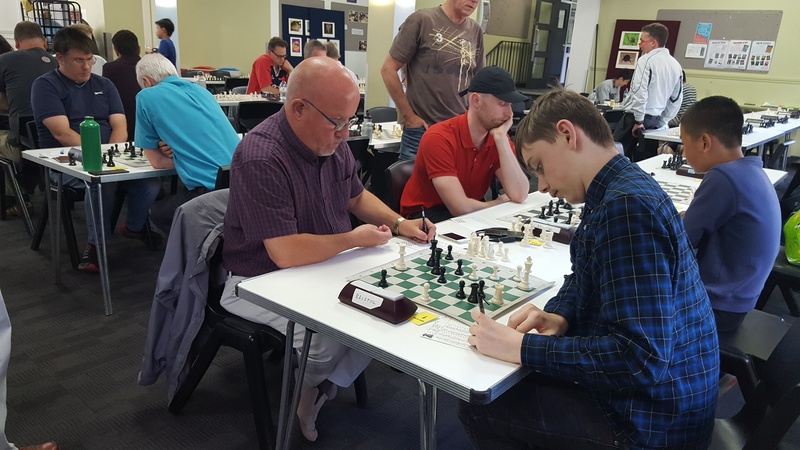 The North Bristol Gambit night took place on Thursday August 16th, with 16 players taking part. 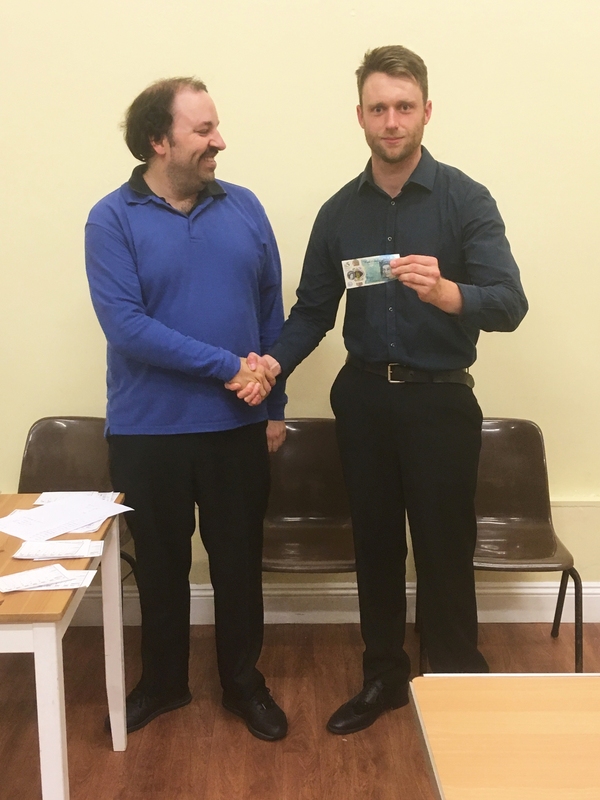 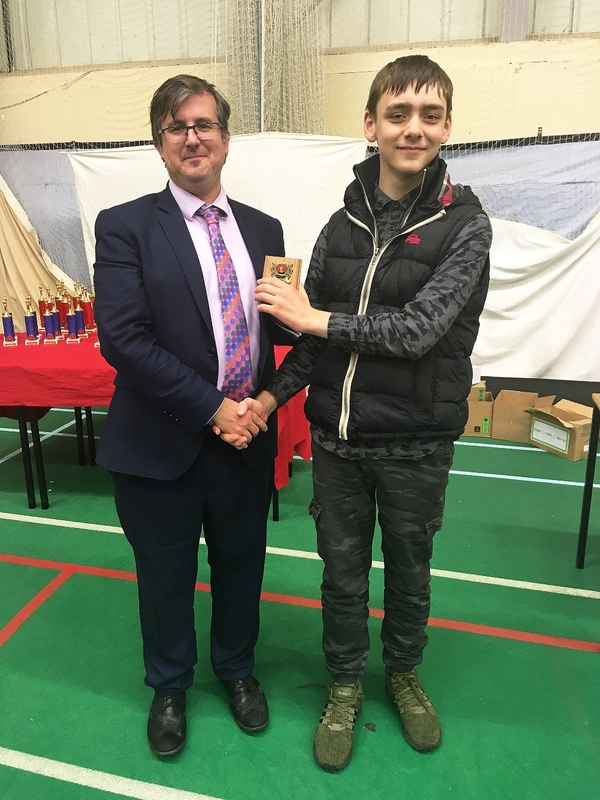 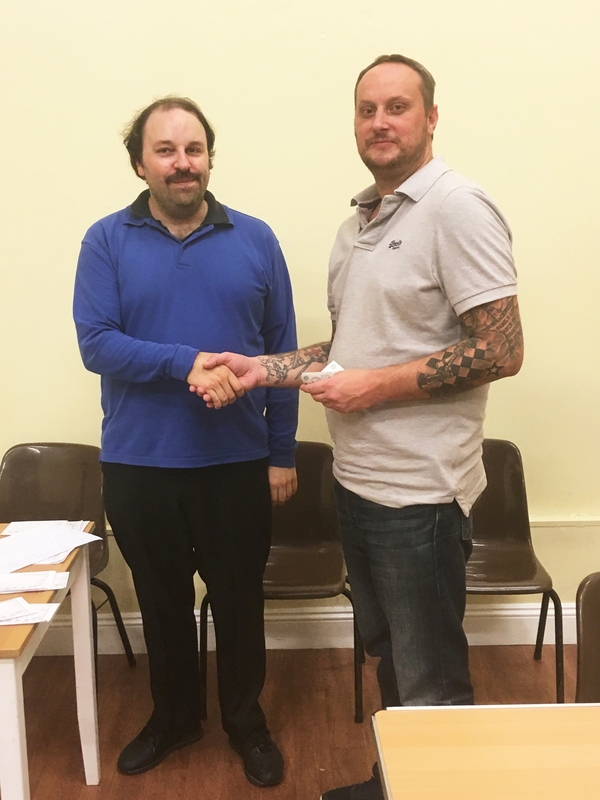 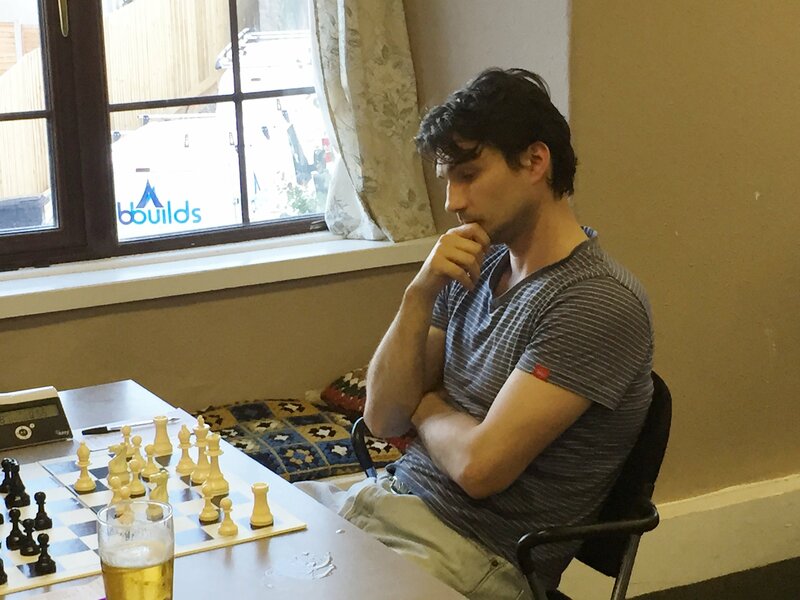 Patryk Krzyzanowski becomes Bristol Champion after finishing as the highest placed Bristol league player which included a draw against Keith Arkell. 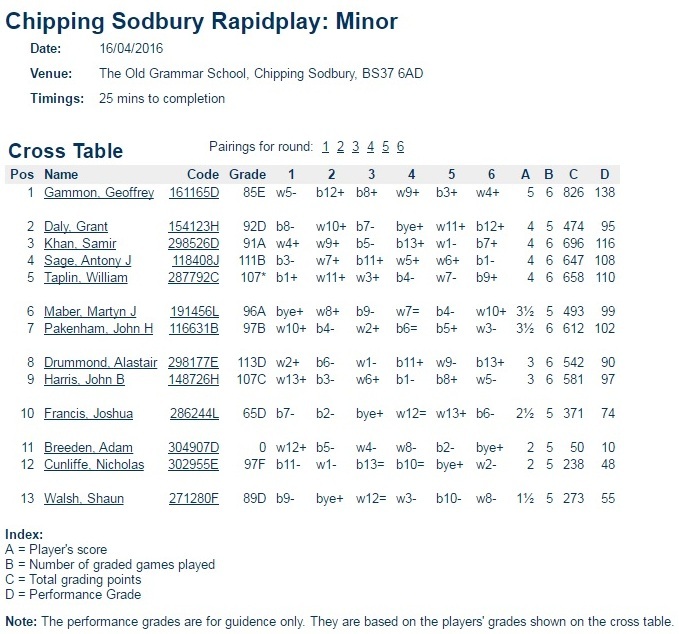 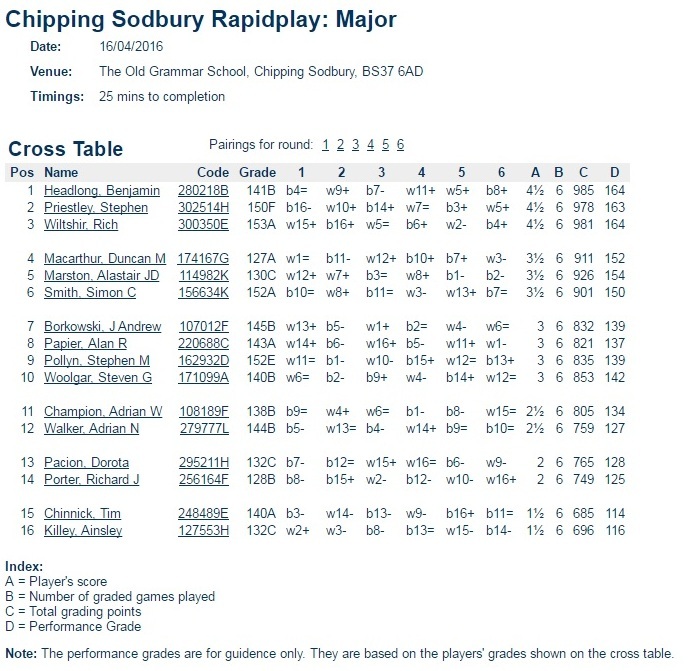 Bob Radford wins the Major Section trophy after an impressive score of 4/5 earned him joint first in the Major. 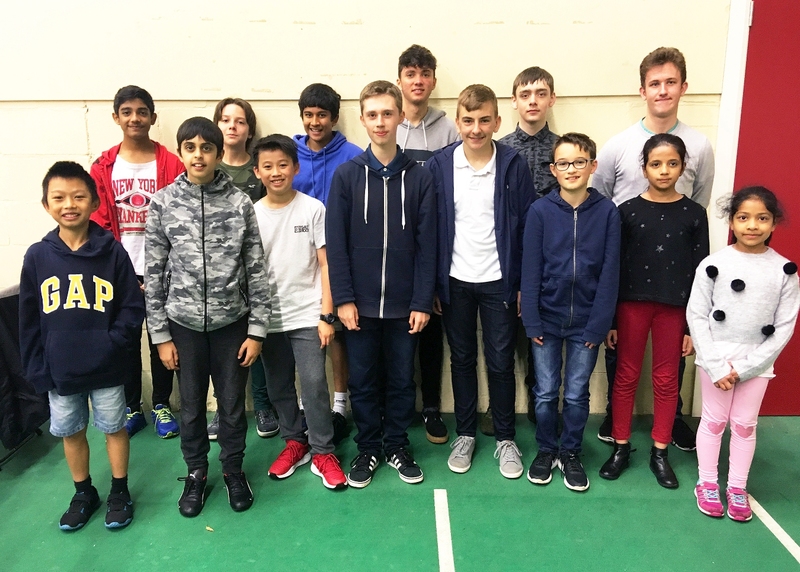 Clevedon won the Minor Knockout Final against Downend in a close match that went to the wire 3.5 - 2.5. 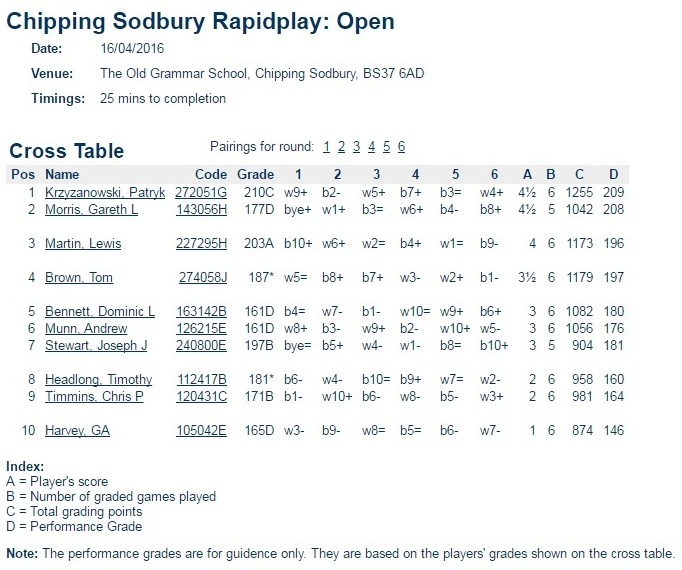 Div 1: Horfield A are Champions - well done on a fantastic achievement ! 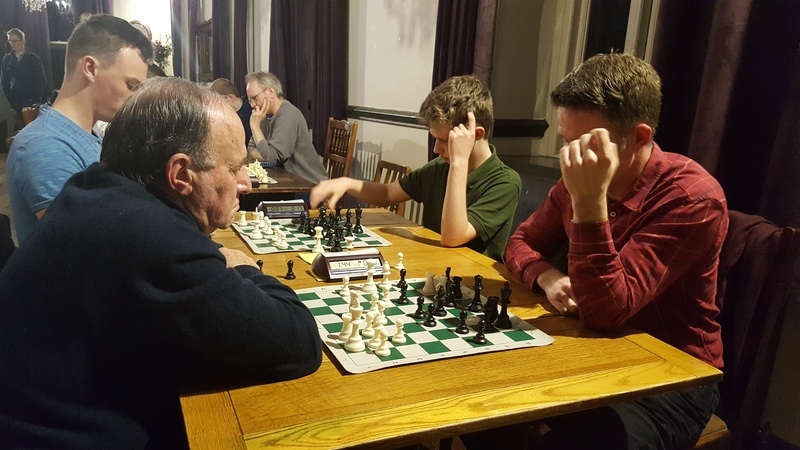 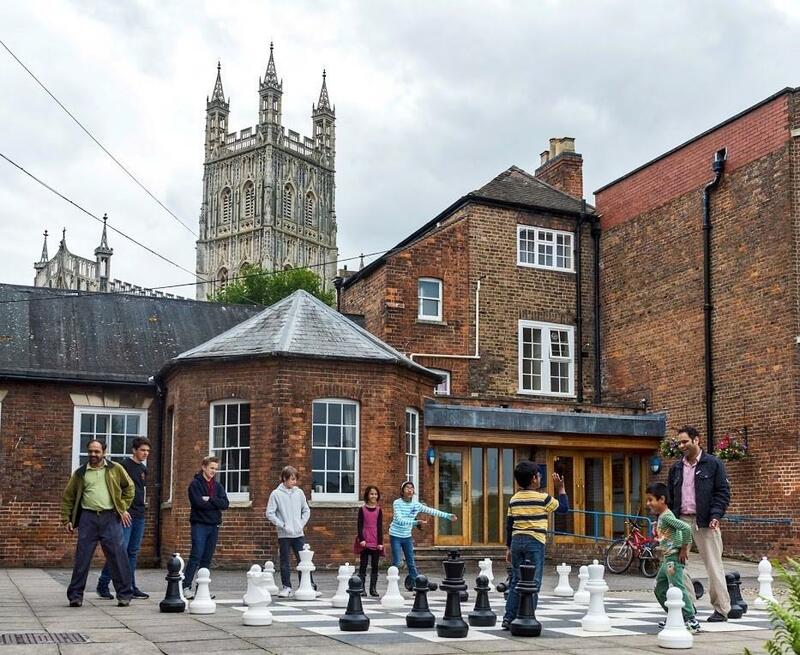 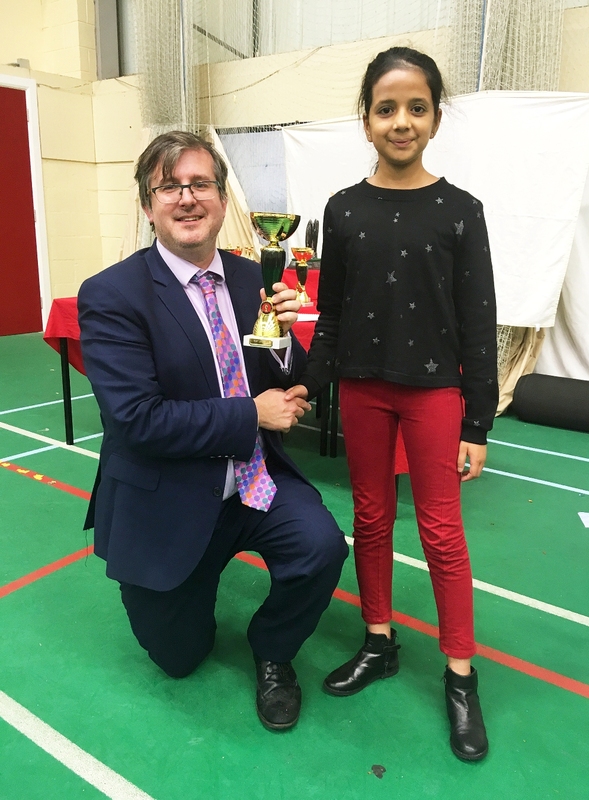 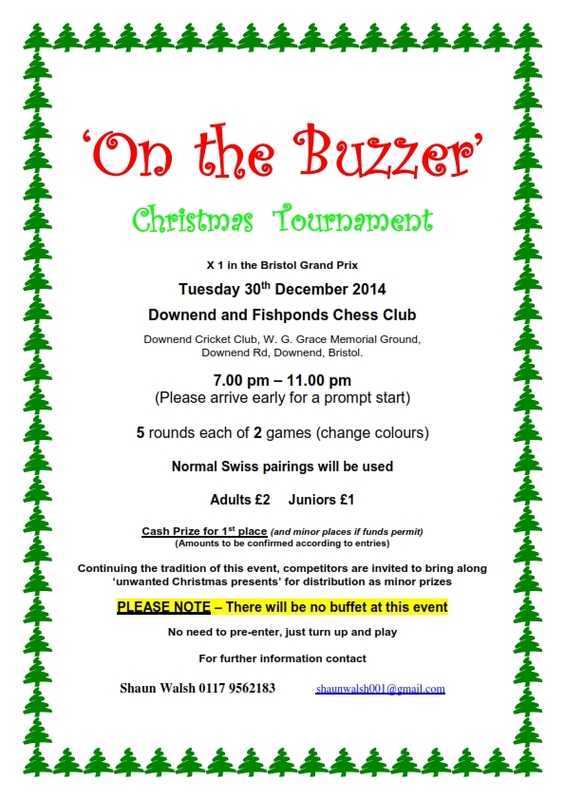 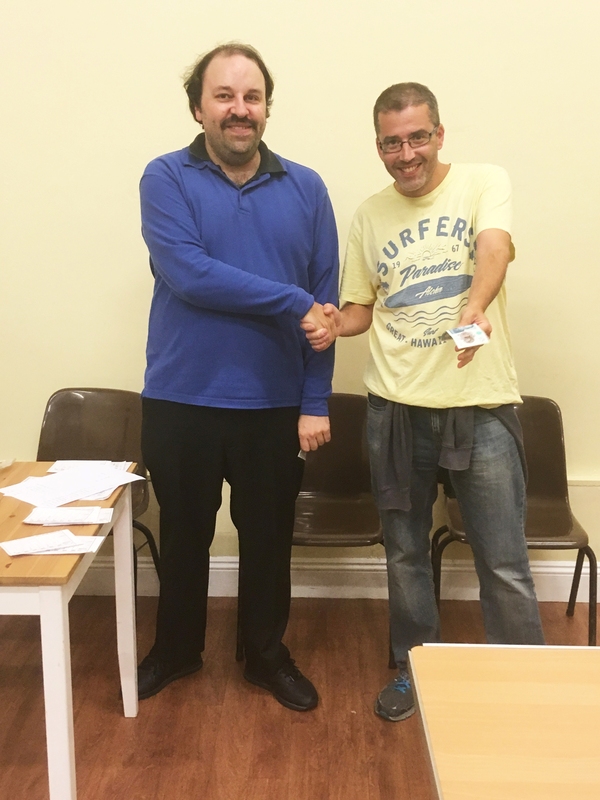 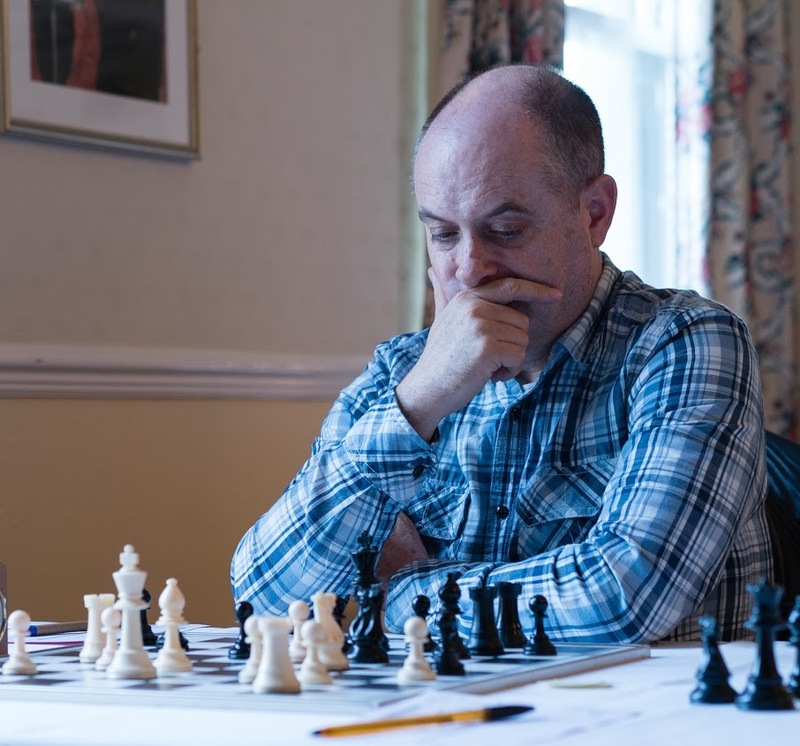 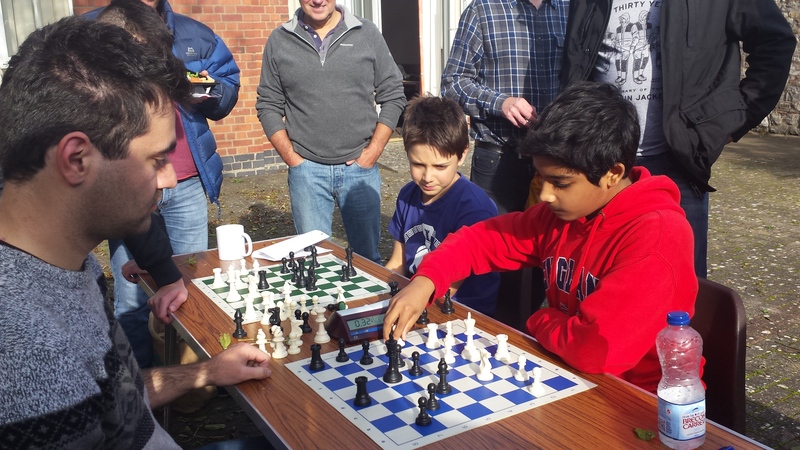 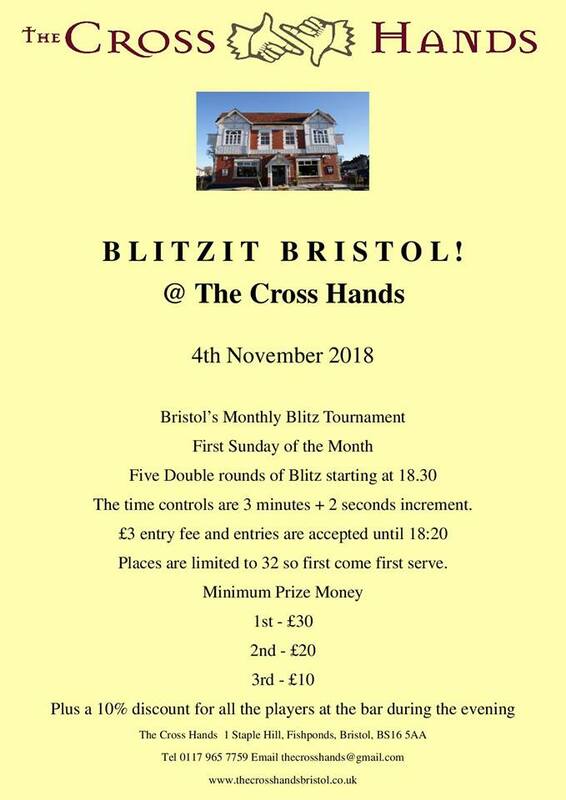 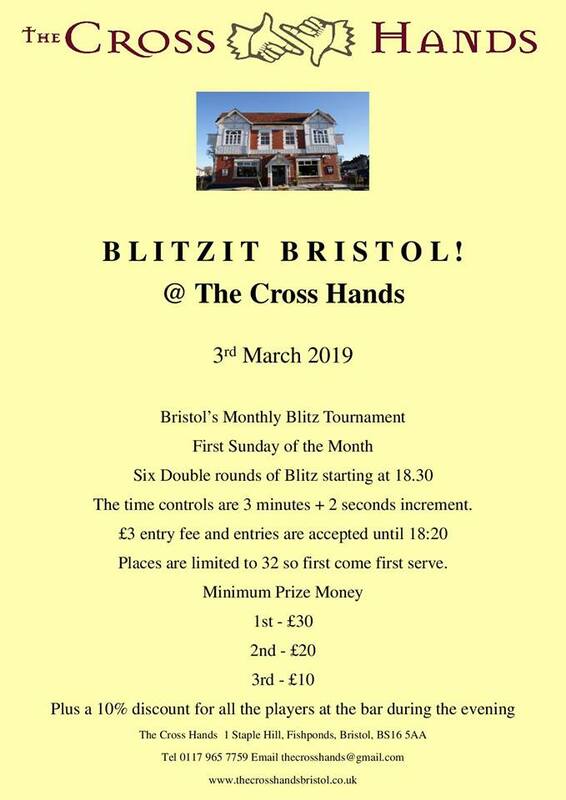 Bristol Chess Times - Jon Fisher our Publicity Officer has relaunched the Bristol Chess Times online. 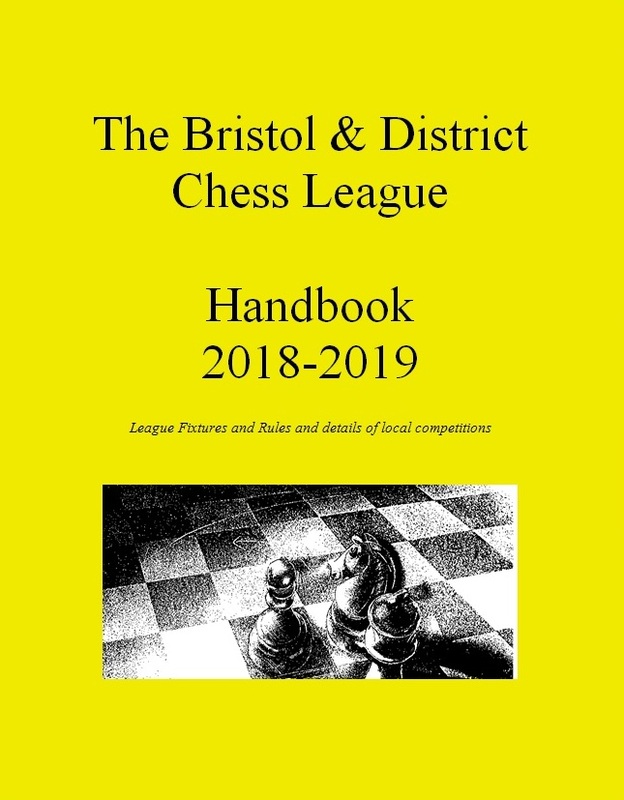 Long term stalwarts of the Bristol & District Chess League will remember The Bristol Chess Times as a printed magazine that came out several times a year featuring articles and game compilations from the local league and tournaments JF ...... "now its back and online !" 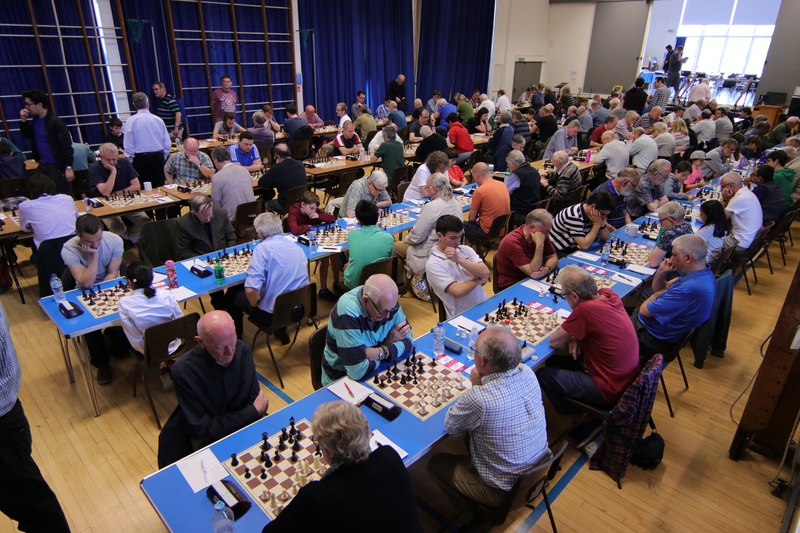 our congress has reached capacity and we can no longer guarantee acceptance of further entrants. 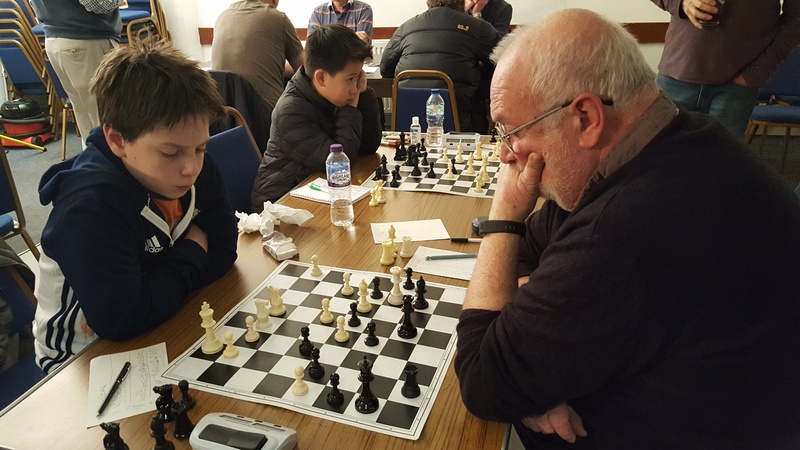 It is with great sadness that I have to report that Michael Wood ( Downend Chess Club ), Mike to so many, passed away on Friday 14th October. 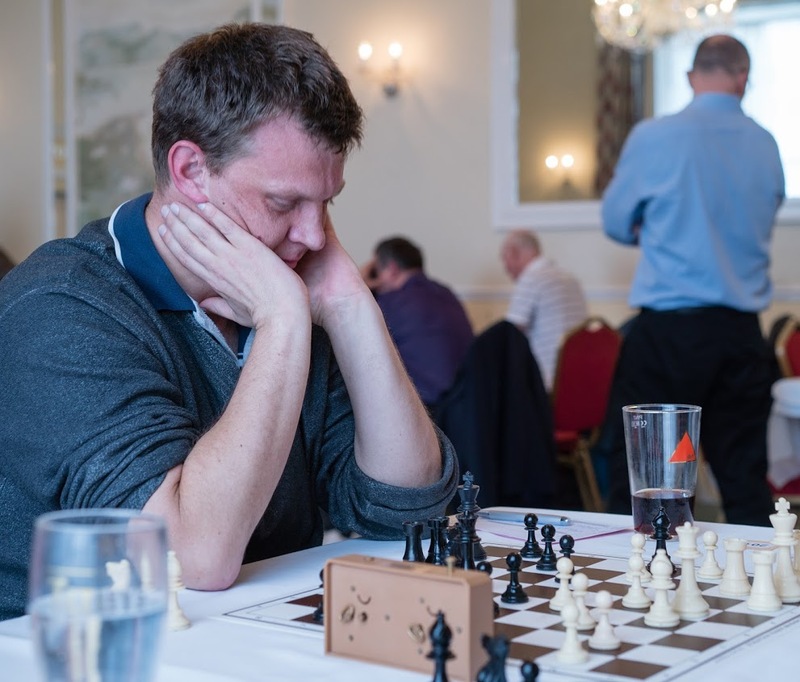 At Downend, Mike held the role of President for the last fifteen years, and Treasurer, Captain and Chairman before that, Mike had always had the best interests of the club at heart and especially valued good sportsmanship in all his dealings, which go far beyond chess. 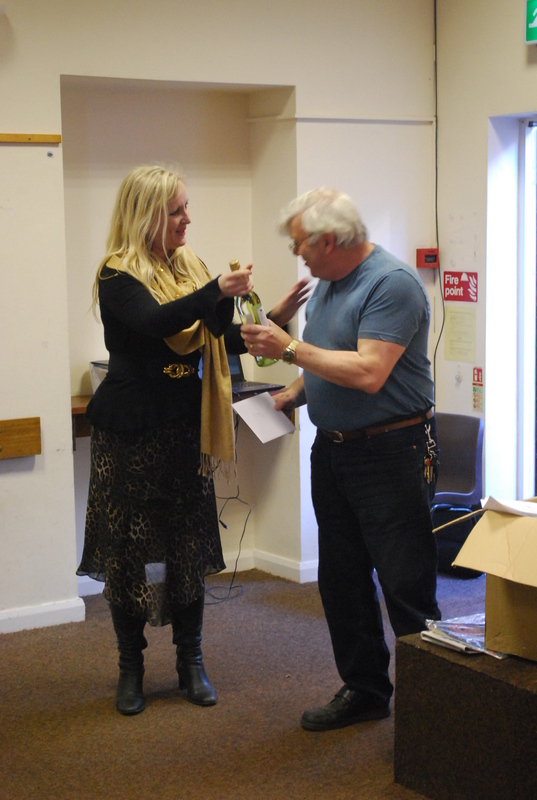 Of course he also served the league for many years and was greatly respected by all who came into contact with him. 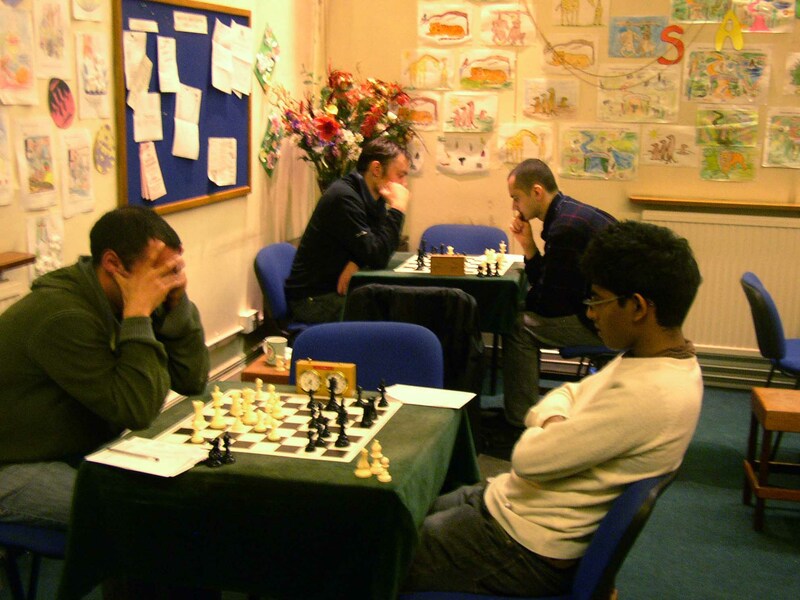 Here is one of his games that I had the pleasure to watch and admire back in 2003. 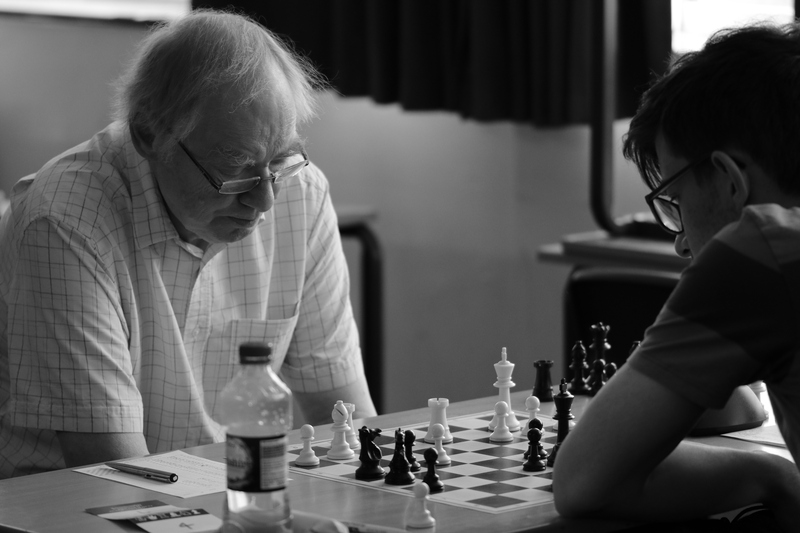 He shows all of his 50 + years of playing experience as he produces a fine attacking game against a very handy University player many years his junior. 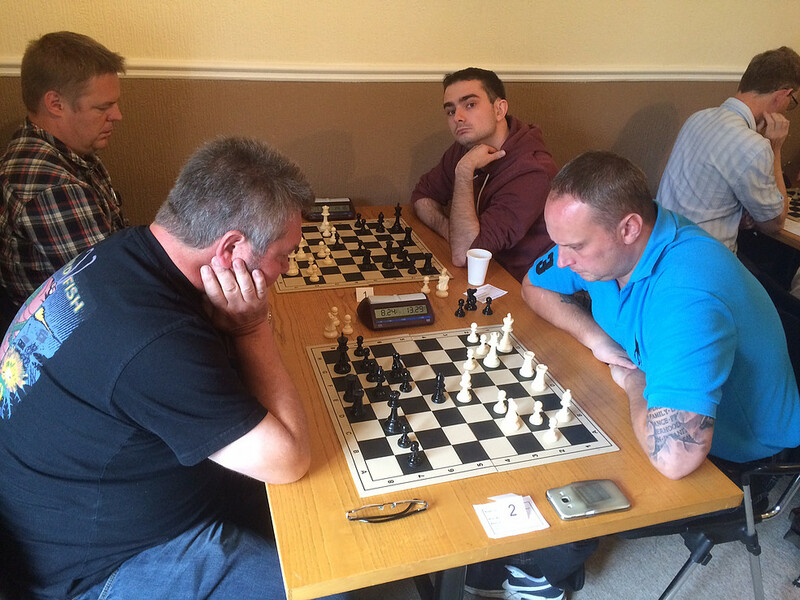 League KO : - Downend will host Horfield in the final on 10th May after winning their semi-final match against Clifton. 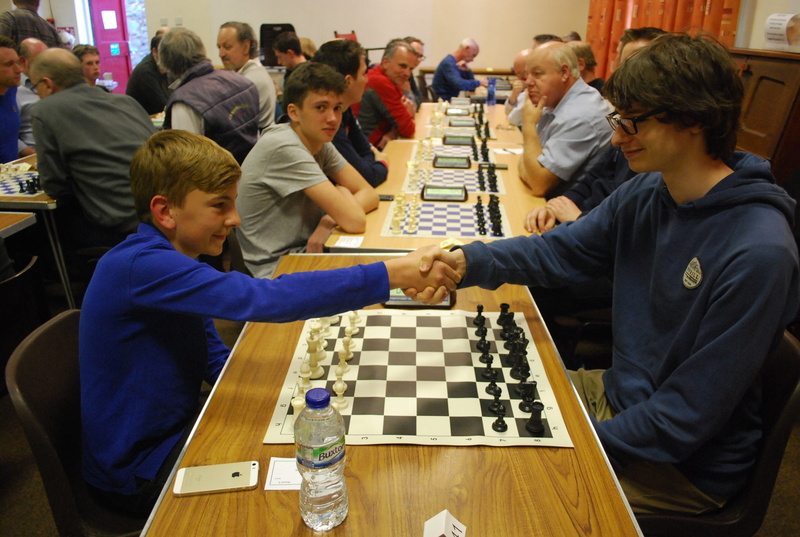 Horfield beat Bath in the other semi-final encounter. 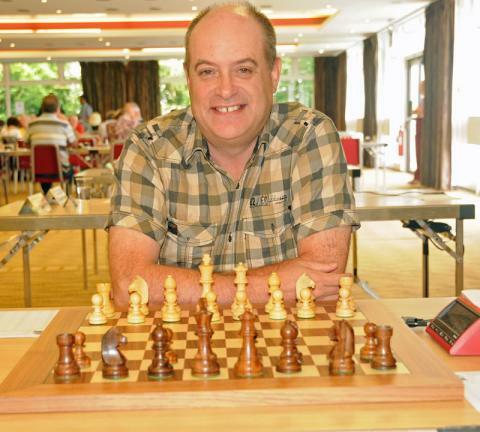 Jim was a leading player in Bristol over several decades. 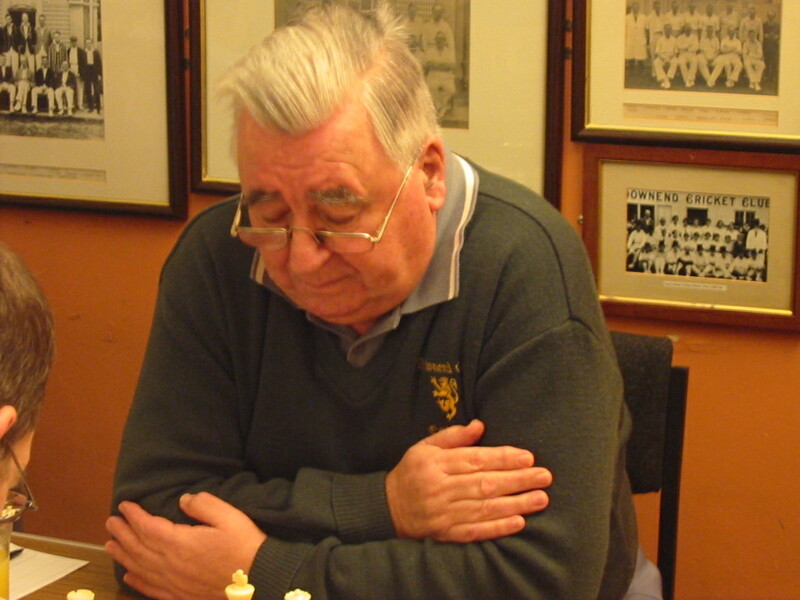 He joined Clifton in 1963 and played in the Bristol League for 50 years. 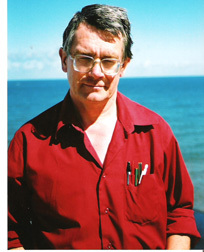 He was Bristol Champion on three occasions (1972, 1975 and 1983) and played in a number of championship Clifton sides. 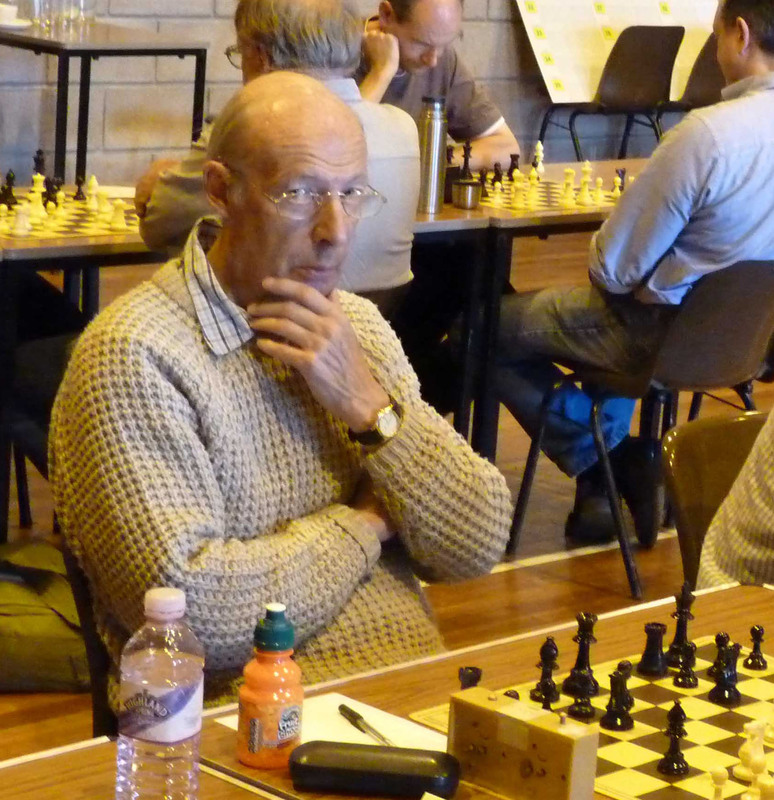 In 2009 he moved to play for Horfield where he became a much respected captain of the C team. 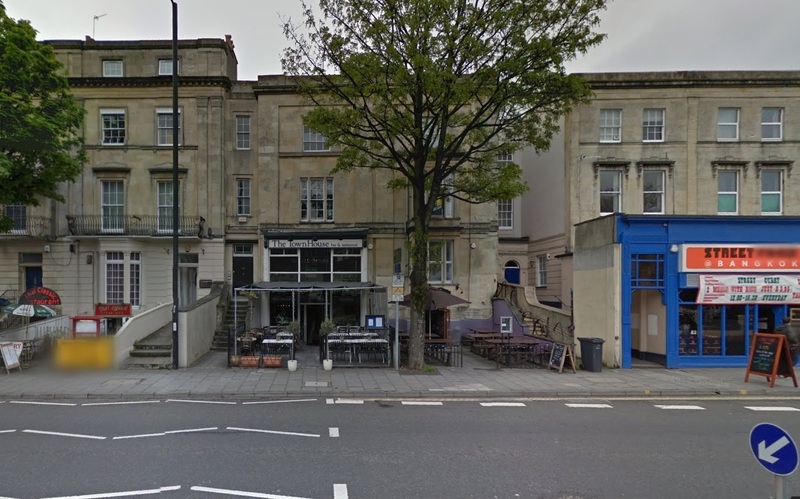 The funeral will be on Tuesday 16 June at 12:30 at South Bristol Crematorium with a reception afterwards at the Woodspring Golf Club. 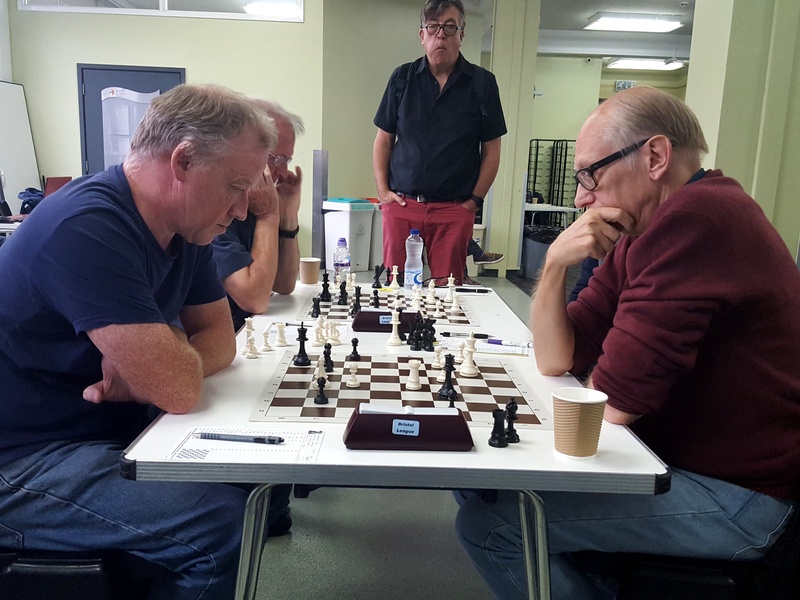 The battle of the Jims ! 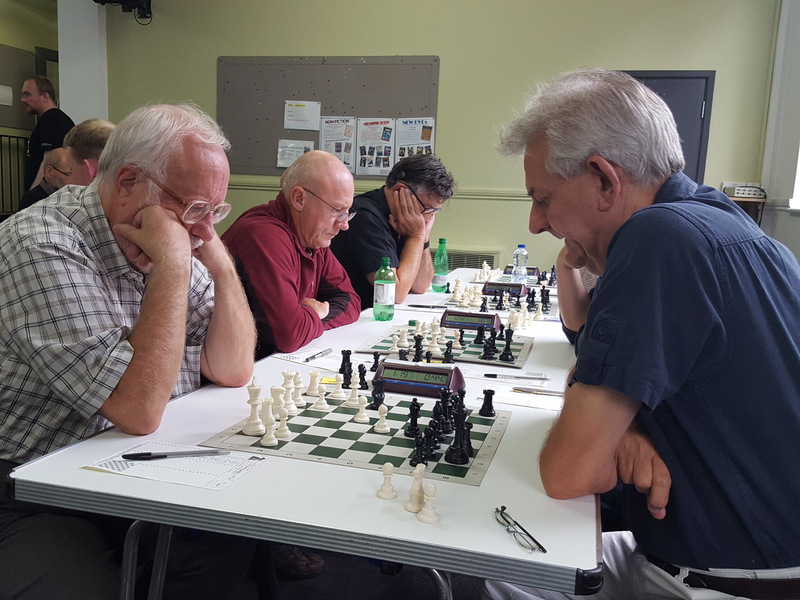 League Knockout - Bath & Horfield win their quarter final matches in the League Knockout.